Learn Some Tips from the New ABC Series War on Waste. Our Team Can Dispose of Your Waste Responsibly! Australia has a serious problem when it comes to the amount of garbage we produce. In our 10+ years of junk removal experience here at Same-Day Rubbish Removal we have seen this problem continue to grow. The Australian Bureau of Statistcs has also documented this increase which fortunately has led to wider acknowledgement of the issue. A positive part of the statistics is that despite our overall rubbish production growing, the amount of trash that goes directly to landfill is decreasing – more and more is being recycled. It seems however, that many Australians still are not aware of the issues that it is causing, but hopefully that will soon change. If you'd like to see some of the interesting statistics mentioned in the first episode, we've compiled a list here. The ABC have produced a short series addressing the Australian rubbish problem, titled War on Waste. In this three part series The Chaser Craig Reucassel looks into several areas regarding rubbish production in Australia. In the first episode Craig uncovers the truth about food waste in Australia, showing how much edible food is sent to landfill and suggests ways that this type of waste can be minimised. Relating to food and products in general, the topic of packaging will be covered, showing how much unnecessary packaging is used these days and what needs to be done to decrease this main contributor of household trash. Fast fashion & e-waste, two fairly modern problems will also be addressed, the statistics on these topics will be quite eye-opening for many people. War on Waste will also give predictions about what will happen if we do nothing about this problem and continue to increase our garbage production at 8% per year. War on Waste is a much needed series that will hopefully not only inform Australians of the serious issue of garbage production, but also cause them to act. The program gives a range of suggestions as to what everyone can do in their own lives to help reduce the overall junk production in Australia. The statistics shown and issues addressed in the program aren’t too new to our team here at Same-Day Rubbish Removal, we’ve been aware of these problems for a long time now. That is why we do everything that we possibly can to dispose of your waste responsibly – we recycle whenever it is possible! 1. Watch War on Waste, and implement some of the great ideas they have to share. 2. 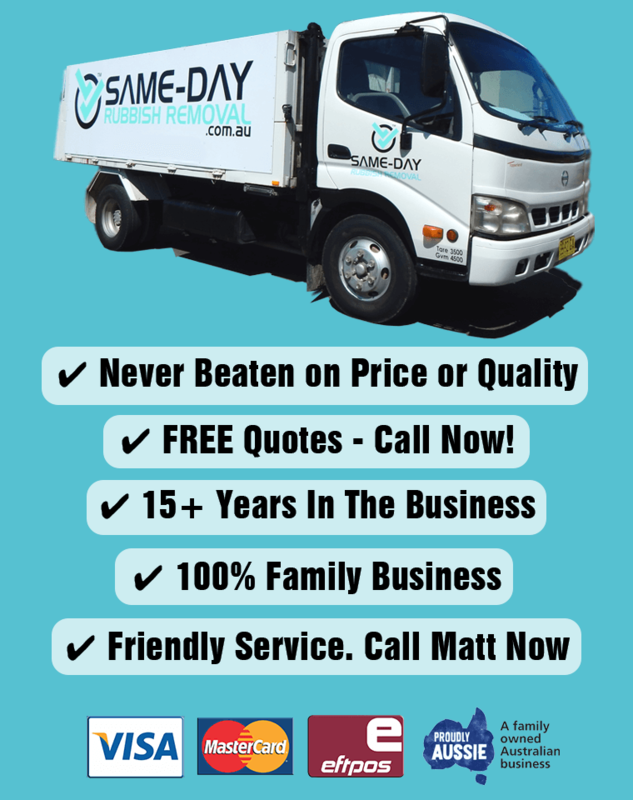 Contact Same-Day Rubbish Removal and have them fix your waste problems. 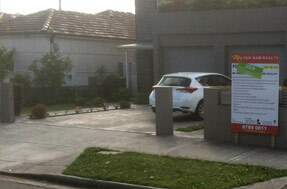 Call us now on 0402 737 046 for a free quote. 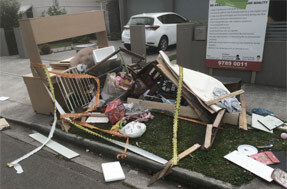 We offer the most affordable rubbish removal option in Sydney, so you won't be disappointed. Our friendly team can’t wait to help you clean up your property! Want to See the Stats? 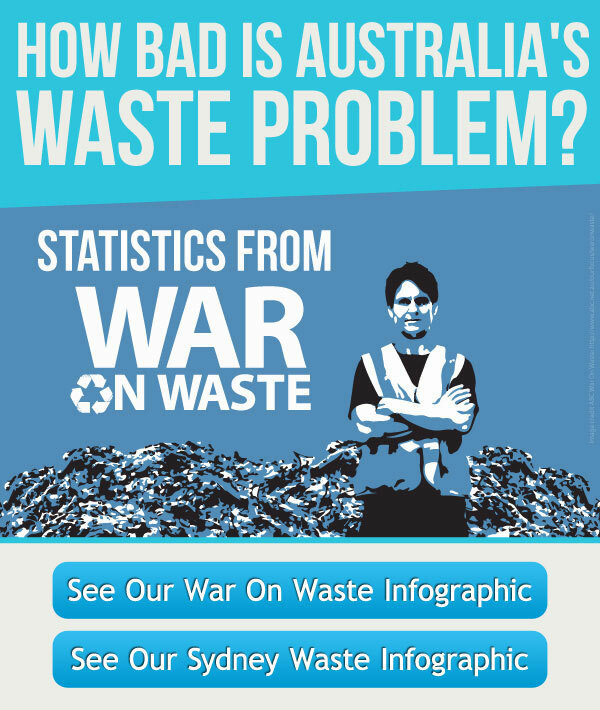 If you're interested in War on Waste and some of the statistics that are shared within, you'll love our infographics that include a whole lot of statistics from the show and some other stats we've gathered about Sydney's rubbish problem.